New Executive Orders Contradict the Federal Statutes and Regulations | Kalijarvi, Chuzi, Newman & Fitch, P.C. Late on Friday, May 25, 2018, less than an hour before the start of the long holiday weekend, the White House issued three new Executive Orders (“EO’s”) which drastically reduce the civil service protections of federal employees and restrict the ability of federal unions to organize and advocate for their members. Because of their reach, these EO’s in many ways appear to be a huge overstep in Presidential authority. While one injunction already has been filed to challenge this overreach, more actions are likely to be brought in the coming weeks. The first Order, officially titled “Executive Order Promoting Accountability and Streamlining Removal Procedures Consistent with Merit System Principles,” reduces job protections for employees thus making it easier for agencies to discipline and fire them. For example, the EO removes the requirement for the Agency to impose progressive discipline and changes the concept of an improvement period for underperforming employees to a demonstration period. Several of the provisions within the Streamlining Order, however, contradict current federal regulations. The White House recognizes this and, in the Accountability Order, directs the Office of Personnel Management Director to examine the current regulations and propose rules “as soon as practicable” that “effectuate the principles… and the requirements” of the Order. This process requires a “notice and comment period,” which will likely take several months before any new or modified rules are adopted into the Code of Federal Regulations. After a new regulation is issued, the Streamlining Order directs agency heads to revise their discipline and performance polices to conform to the new rule within 45 days. The White House also issued an “Executive Order Ensuring Transparency, Accountability, and Efficiency in Taxpayer Funded Union Time Use,” which limits the rights of federal labor unions and their members. The Union Time Order begrudgingly admits that federal law allows federal employees to perform union work (described in the Order as “other non-agency business”) “while being paid by American taxpayers.” The Civil Service Reform Act defines this as “official time,” while the Order refers to it as “taxpayer-funded union time.” The Union Time Order instructs agencies to “eliminate unrestricted grants of taxpayer-funded union time” and provides instructions to the agencies on how to achieve this goal. The Order requires agencies to restrict the amount of official time its members can spend on union work by utilizing an arbitrary and convoluted calculation. Any amount of time in excess of that figure should not be considered “reasonable, necessary, or in the public interest” by the agency. Further, the Union Time Order restricts the amount of time an employee may spend on authorized union work to twenty five percent of her duty time. If the employee spends more hours than that on her union work, the agency may limit the amount of union work she does in the next fiscal year. Finally, the Union Time Order mandates that an employee may not use official time to prepare or pursue grievances brought under a collective bargaining agreement, unless the employee is bringing the grievance on her own behalf. Because pursuing grievances on behalf of union members is a fundamental component of union activity, the White House efforts to restrict this activity are sure to face an aggressive union response. On May 30, 2018, the American Federation of Government Employees (“AFGE”), the representative of many federal bargaining units, requested an injunction in federal district court in Washington asking the court to declare specific provisions of the Union Time Order contrary to federal law and stop the administration from implementing those provisions. AFGE argued that these provisions directly contradict a statue passed by Congress, the Federal Service Labor-Management Relations Statute (“the Statute”), and the First Amendment to the U.S. Constitution. The Union Time Order, according to AFGE, is an attempt by the President to legislate, and the Constitution does not vest legislative power in the President – only in the Congress, which has already spoken on the topic through the Statute. Finally, the White House issued “Executive Order Developing Efficient, Effective, and Cost-Reducing Approaches to Federal Sector Collective Bargaining.” The Bargaining Order also violates sections of the Statute. For example, the Order mandates that agencies take steps to eliminate requirements in negotiating agreements that contain a bargaining approach other than the exchange of written proposals. This eliminates the in-person bargaining table and the negotiations that happen around it. This written-only approach is not what is imagined in the Statute, which provides that both the agency and the union have an obligation “to meet at reasonable times and convenient places as frequently as may be necessary” in order to negotiate in good faith. The Bargaining Order also instructs agency heads that they “may not negotiate over the substance of the subjects set forth in” a section of the Statute, 5 U.S.C. § 7106(b)(1). This section, however, states “[n]othing in [the Statute] shall preclude any agency and any labor organization from negotiating” on the listed subjects. Here, the administration is trying to bind the agencies’ hands where Congress remained permissive – again a potential overreach by the executive branch. Given all the contradictions with existing federal labor and civil service laws, more lawsuits and injunctions will no doubt be filed in the coming weeks. If you are a federal employee who has been negatively affected by policies mandated by these three new Executive Orders, please contact the lawyers at Kalijarvi, Chuzi, Newman & Fitch to discuss your options. This blog is provided to our readers for informational purposes only. It is not offered as legal advice. Communication of information through this blog does not create an attorney-client relationship. You should not rely upon information contained in this blog without first seeking professional legal advice. Attorneys at KCNF practice wage and hour law and have recovered tens of millions of dollars in unpaid work on behalf of employees. If you would like a telephone screening or consultation with a KCNF attorney, you are welcome to call 202-331-9260 to begin our intake process, or submit your legal issue at kcnfdc.com/contact. 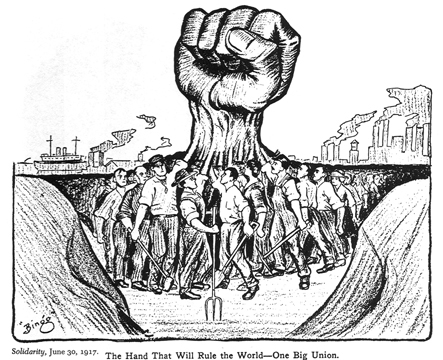 PreviousEpic Systems Corp. v. Lewis: an Epic step back for workers’ rights?